Want to grab a quick cup of coffee at my house? Well, if you came over I wouldn't have coffee..probably dr. peppers....actually I don't even know how to make coffee. We would sit down on the couch, maybe even the floor and I would tell you about how Ainsleigh is walking and growing so fast...and how now that Aiden is talking more he has me smiling & laughing more than ever. I would tell you that we love California and are in a true season of prayer...trying to figure out where next? We are struggling. We need to know the next step. I would tell you that I recently received a comment about how people don't like when I do posts about giveaways and sponsors...I would tell you that in a way that comment was right and that I had already made a plan...starting in December to revamp how I approach sponsorships and cut the number of posts by more than half. It was already on my heart to do so. I want to get back to writing. I would tell you some days I feel like I have run out of words, like I am saying the same things over and over. BUT I would also tell you that I want to use this platform to share my heart and to help people....without losing the authenticity behind where it all began. Not only are these beautiful sponsors helping me pay my mortgage but I am helping other moms who want to stay at home with their babies. I have seen much good come from helping others grow in their ventures. I would tell you that there is more than meets the eye when it comes to sponsors... some are single moms, some are moms with very sick children... all of which I have a burdened heart to help. I would tell you that sitting on my porch in Malibu one night late I cried in Chris' arms because I don't want my babies to ever grow up without me...and the fear of that paralyzes me. As the moonlight hit the water and the waves crashed....the tears poured. I would tell you that I still cry for baby Addison, but rarely talk about it anymore. I would tell you that being out in California, running from some heartaches in Dallas has been a breath of fresh air for me. I would tell you that my Aiden calls bananas "biggie nonnies", turtles "buggies" and juice "augie". I would tell you that he calls his blankie "ba" and his second blankie "two ba." I would tell you that when I watch my babies laugh or sleep, my heart literally aches because I have never loved so deeply. I would tell you that I want to be pregnant again. But am a little scared to try. I would ask you about your heart, your life. I would ask you how I could bless you. Thanks for coffee.... maybe again next week? I. LOVE. YOU. . . every single little part of you! :-) God has you in a season of waiting and he is going to do AMAZING things with you and your family in the future! :-) Praying for you friend, and love you so much! you would be the best coffee date :) don't worry about the sponsor thing. God has given you a means to make some money and we still get plenty of YOU through your blog. we all have bills to pay and burdens to carry. i think everyone can understand that. :) happy sunday casey! I have been skipping your posts because of the giveaways so thank you again for writing from your heart and saying so beautifully what all of us moms feel. It's so wonderful to hear words and know that someone else loves their babies the way she was meant to! This was an amazing post!!!! Honest, raw, simple, loving. Don't change anything.... This is who you are and that's why we come here every day!!! If you are ever in Miami I would love to have some coffee or Dr. Pepper with you:) enjoy California!!!! We did get to have coffee after all! Move to California and then we can do it for real when I get back from France! Don't ever doubt yourself and what you are doing here. I think that person overstep their boundaries. If they don't like it, then they can stop reading. You do what is on your heart. If you are helping your family and other mamas out there, then don't regret it, girl. You are sincere and lovely and your readers know that. Your daughter is adorable. It bothers me when other bloggers tell people how to run their blogs. I think your blog is whatever you want to do want to be. I think it's great that you are helping others. I love this. might be my fav post. :) love love love. You and your family are so sweet! I only hope and pray for the best for you and ur family! I love this. Its amazing how you manage to connect so personally to so many different people. Praying that the next step in your path will be lit soon! If the sponsorships are necessary as a means for us to get the rest of the beautiful things you post about, then by all means. People can skip right over them without taking the time to complain about them to you. If they can't do that, that's a problem they need to address with themselves about treating others with grace. Your little girl is the cutest thing ever. Her little face just screams pure love. What an amazing post! So heart-felt! So creative and eloquently written... love you, my friend! A "coffee" date sounds awesome! I haven't been following your journey (blog) for that long, but I understand what you are saying. I, too, am at a point in my life where I truly need to sit down and think about what I/ we (my family and I) want...life can be tough, but in the end everything will come together! Good luck! sometimes meeting for "coffee" is something that you need to feed your soul...confiding in someone everything that's going on in your life seems to lift the burdens you've been carrying or a way to be real and feel like the emotional human being that you are. I am inspired by every post you write Casey, I hope that you continue to do things that make you happy and bless other people! You're doing a wonderful thing. thanks for your honesty. and i love how God is using this blog to bless you and also that you can bless others. praying for you guys. life can be so difficult sometimes. glad you have a good hubby and two painfully adorable babies. and jesus. case- this is YOUR blog. don't forget that! you have the right to put on here whatever you want!!! if people don't want to see it, then they shouldn't bother reading, much less comment about it. be YOU! that's the best thing there is!!! love you girl!!! If we had coffee, I would be the barrista. And it wouldn't hurt my feelings you were drinking soda. I would tell you that being a new momma makes you feel scared like that. And I'd have to tell you the truth. The "shakes" do go away eventually, but You still feel like that about your babies forever. My baby is taller than me. I looked up to him and asked him if he was just a couple nights ago. I felt sad. I told him he was in my belly and to never forget that because he'll always be my babe. I was proud too, but I laid awake that night hoping I've been doing right by him. I'd have to hug you if we had coffee and tell you thank you for being such a sensitive soul. i love this post so very much. and yes, she is darling. Girl, everyone is going to have an opinion about everything. The thing that makes people come back and makes me click on every post is your authenticity, your heart for others, and your vulnerability. Your priority is your family and loving others, and doing giveaways and promos is all a part. That would be like a friend saying, I only like you when you talk about things I like, about me, or entertain me. What? Maybe the comment helped you affirm that you do want to write more, but I know that sometimes there are just no words to write, sometimes there are A LOT! Don't be too hard on yourself. Love this post as I do all of them. Look forward to seeing God guide you guys. you are such a special person! Love this post. I like your approach towards life and that's why I keep coming back to your blog. awww i love this coffee post!!!! love love it!!! i think you should start this as a weekly thing and let ppl link up.. try to get to know each others lives a little bit more.!! :) i love it! Casey....your are amazing.special.loved! You touch so many everday. You deserve nothing but the best. You have encouraged me to be the best I can. I came to you with the deep desire to be a stay at home mom...and because of your listening ear and caring heart, in a short time I have gone from a full time job to the awesome reality that in February I will be returning only part time after maternity leave and the possibility of being a full time SAHM in a short time. All because of you. Your care.helpfulness.and loving spirit. Love you Casey and hope nothing but the best for you and your loves. You are such a beautiful person, inside and out. If we were having coffee, I'd let you open up about all you shared and more. I'd be a shoulder for you to cry on. If you wanted to open up about baby Addison, I'd listen lovingly because I've been there too. If you let me, I'd share what's on my heart. I'd maybe bounce some blog ideas off you. I'd tell you how much I'd love to sponsor your blog but, with a chronically ill special needs child of my own, finances are tough. Really tough. And I can relate to some of your experiences there. I'd talk about God and how He provides for all our needs and He blesses us all the time. Love your heart, Casey! I loved this post! Might have to copy this idea and do something similar on my blog! It's a great way to get to know each other! Thanks for the coffee date :) Love your honesty. Unfortunately in the blog world, there are always people quick to criticize from every possible angle... I think most of us who've read blogs for any length of time don't mind sponsorships and giveaways as long as there are lots of other posts in between. Plus, the positive side is we can discover new bloggers and products we might love that we never would have found any other way. I think you have to decide if you're going to be a pro blogger or amateur blogger and just be okay with what goes with each one. I'm an amateur blogger myself, but it doesn't mean I have a problem with people who make money off of it. This might just be my favorite post ever. Just like you said in your post, you have a burden for momma's to stay at home. You may have started blogging for whatever reason, but it has turned into a business, a way for you to stay at home with your babes. If giveaways and sponsors are helping pay your bills, put food on the table and diapers on your sweet babes hiney's... then there is no excuse for you to apologize or worry about what people have to say! It is your divine right to not only protect your family, but to provide for them! This is beautiful and simple and honest and as I sit reading and sipping my coffee, I feel like I'm remembering this day where we drank coffee and chatted together. What a wonderful post to happen upon. Looking forward to future posts. This is one of the most beautiful posts I've read in a while. Its honest and transparent... I appreciate both those things so much. I'm crying for you over all of this....my heart aches because I understand some of it. Especially the part about crying over the thought of your babies living without you...got to me. You're beautiful and you're doing a beautiful thing with this blog and your life! Keep writing...I'll keep reading. You're such a gorgeous person, inside and out! My sister-in-law and brother recently just lost their first pregnancy. Your strength is inspiring. All I can say is this is a beautiful post. Everything you write I believe comes from your soul wholeheartedly. I adore you, your family and your blog. You're an inspirations to us moms and if turning out to be half the mother you are, I'll be a blessed woman. Love you Casey! May the Lord bless you MUCH! i love how you love your children. This is your blog. You do whatever it is you think is best for you :) Loved this post! I want to have a real coffee date with you- I'm in Santa Barbara if your up for it I'd love to meet you while your still in California... I'd love to pray with you-- I know God is delighted in you and wants you to rest in His love for you and your family. 1 Chronicles 16:9 is what I have been praying for you. I think you tastefully approach the whole sponsor thing, but I guess everyone views that differently. I adore your blog and wouldn't change a thing. I'm a little sad that you won't be posting as much but I know blogging can be a lot of work when you post almost daily with babies! Thinking of you Casey, and your sweet baby Addison. Casey, Thank you for being you and sharing so much. I "met" you from my dear friend Heather your assistant the day I found out I lost my baby. Your writing makes me laugh, smile and cry. It is beautiful! Keep up the good work! Casey!! I love this post-It felt like we were at coffee! Thanks for your honesty. I cry those tears too- love my boys so much it truly hurts. I was JUST thinking of doing a post almost exactly like this on my blog!! So funny! Loved having coffee/soda with you. Actually, I am drinking Pepsi right now. HA! Shhh... don't tell anyone. I'm supposed to be really healthy!! LOVE this post!! You are AMAZING!!! I am waiting for you to come back to Dallas, and we WILL BE having coffee and a play date for our littles!!!! Seriously. it's gonna happen!!! Love ya!! i loved this post. i love every post you do. your words, your writings are so personal. i love it! I would tell you that I am somewhat new to your website, and I absolutely love it. I would tell you that people can be really mean and it makes me upset that they say awful things and hurt your heart. I would tell you that your babies are absolutely adorable and I love their names. I would also tell you that my husband and I are just now trying for a family, and I am scared to death, but so excited too. At this point, I would probably need another cup... I hope you keep doing these posts... it feels good to let things out! What a lovely post! You are wonderful! I want to comment that I understand that giveaway's might be not for everybody but I personally enjoy them and love the exposure to new work as long as it is from an artist and handmade! It takes a lot to get your work noticed online and artists (like myself) can get a ton of exposure from being part of a giveaway! We need exposure to make sales, and for me getting exposure means I can continue to work from home and be with my 3 year old son who is autistic. The support is going in all directions, I think it is great that you took the time to explain why you do it, I am sure it helped change some views on Giveaways! Casey, it would be such a pleasure to have coffee with you one day. You are a true inspiration. I know God has great plans for your family! Love you Casey! I know that you have been a huge encouragement to me. I'd rather have Dr. Pepper than coffee (I've used our coffee pot once and only registered for one so I could make coffee for my dad). I love to sit on the floor. I would love to sit and talk about your kiddos and hear all of the wonderful things that they are learning. Mostly I would just love to meet you and to talk about God and faith and pray for one another. What a huge blessing that would be! Praying for guidance in your life sweet friend! this post was wonderful. I don't know what else to say other than just wonderful - oh yeah and honest. My experience in sponsorship has had its ups and downs but I've found the good out weighs the bad. It is such a great way to help other achieve their dreams and help yourself a little too. I don't see anything wrong with it. :) You just keep doing what you're doing, girl. Sister, I love you. This is why you make an impact. You are so amazing. And sweet Ains.... oh she has my heart! THANK YOU for inviting us all into your home for coffee today! Your beautiful heart shines through your blog and we can all tell how much you love your little ones, your family & the community you are creating here. What a lovely and simple post. I just found your blog last week, but it always makes me smile. i would love to sit down with you and chat any day of the week! you have a beautiful heart, and I admire you always doing what you feel to be right in your heart, rather than what "comments" tell you to do. 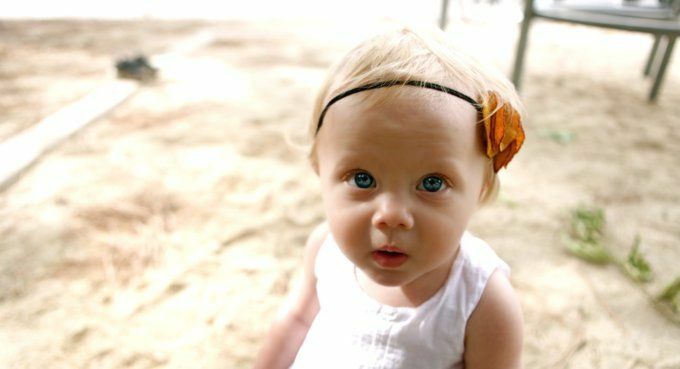 your kiddos are growing up so fast, and they are beautiful as ever. Thank you. This is so real. I feel like I just sat down with you and know a little bit of what's going on in your life. Your openness encourages me to do the same. God bless as you work through the decisions on your plate right now! your journey is beautiful, thanks so much for sharing. What an honest and warm post. I love love your blog and am so glad to have found it recently. I'm sure you've probably heard it before, but your husband looks like he walked straight off a Hollywood RomCom - he has that youthful, cheeky but smart handsomeness about him. Your family is truly so gorgeous! I know that feeling. That never-loved-like-this feeling. I tell my hubs (Chris, also)all the time that it is just too much. Like I can't breathe sometimes. Praying right now for your journey. XO, Casey. that I want a baby so bad it hurts some times. But that I'd rather never conceive than lose a baby. that being a foster mom to a 10, 11, and 15 year old is hard work. but really rewarding. that people tell us we're strong, special, and doing an amazing thing because we took in three boys we knew who needed a home, but that I *feel* weak, crazy, and sometimes I hope that we didn't give up the best part of our lives. this is your blog. your ministry. your family that you share. do what you know is right, what you know God wants. I'd cry with you, probably, over baby Addison, but since I wouldn't know what to say, I'd just cry. that sometimes God provides in the most unusual ways. when we least expect it. and sometimes we don't see it until much later. then I'd pray with you. and we'd worship HIM together. I love you. And I wish I could sit on your floor with you and talk to you about each of these things. i just want to hug you woman! i loved this. Casey, this is just beautiful! I love coming to your blog and reading all the wonderful things you write about. I love that you are real. I like to come check out your blog to see what you will post next. The surprise of what it will be cause it's always different, a mix of wonderful things and topics. I agree with the others that your blog is you and yours alone. your family comes first and if you need to incorporate sponsors and ads to generate income to support your family then I don't see anything wrong with that. I too would want to help out others what were in need. How blessed you are to have those resources available with such a successful blog. It touches my heart about all the things you shared in this post. Especially about Addison. I honestly don't know how you have so much strength to do what you do for this lovely blog and all the other things in your life like being a wife and mother etc... when I had my miscarriage, I couldn't cope for a long time. Being here with you in your space and knowing what you have been going through draws me to love you even more. Casey, you are truly an encouragement. I was checking out blogs on my friend Amanda's blog and came across yours. I've only been reading for a little bit now but you are so blessed and so encouraging. God is going to do mighty things for your family. Praying for you. If we had coffee, or soda, or maybe just goldfish while our kiddos ran circles around us, I would have to tell you that you are an inspiration, what you have here is more than a blog it is a ministry. You reach out to women all over the world, you inspire with your honesty, your raw transparency, and your faith. You help women (like me) to join you. If it was on your heart to do something with your ministry than do it, but not because someone stuck their nose up at you. As long as you are in God's will for your life, you will be successful. Then we could drop the heavy and play with the kids who take our hearts and make them putty. This is one of my daily fears: "I don't want my babies to ever grow up without me...and the fear of that paralyzes me." I think it's because when we love, we love so deep. I sometimes lay in bed thinking, what if I didn't wake up...??? would E know how much I love him. Would he remember me. Would 'they' take care of him like me. would L remarry and some other lady become his 'mom'? These things torment my mind. BUT. I have decided to TRY MY HARDEST not to live in the what ifs. We have to live in this moment. Jesus gave us THIS MOMENT to be a joy, not a burden. Don't let Satan steal that joy. Live for now. Not the what ifs. It's hard, but its worth it. Thank you for being so honest! Keep doing what you do. I love your sponsor posts just as much as I love your writing posts. But God keeps giving you sponsors as His way to help your family. I am in the same boat as you are financially. I would love to hear more about how you deal with the day to day but other than that ... You Rock! Thank you for being so honest! I would come over for DP's. You have to keep doing what God is telling you to do. He never says that it is going to be easy or that people would always support you but from the comments I have read your readers love everything you do on this blog. Keep it up with the photos, writing, and sponsor posts. I do love when you write about financial things because I am in the same boat as you are. But You Rock and keep doing what you do! casey, sweetest post ever. can we have an actual coffee date sometime? This is Casey's mother in law! 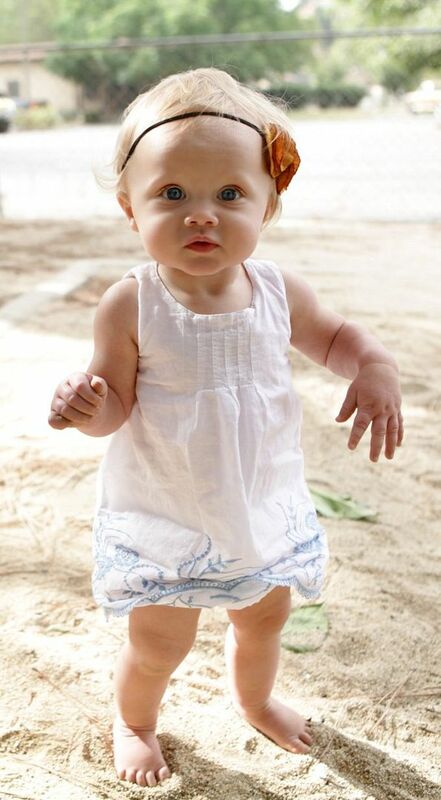 :) Don't forget to click on Top Baby Blogs and vote for her! just want you to know i'm praying for you today. found your blog through heather. you're on my heart! as always these pictures are just so precious! I definitely know how things can be so stressful when looking for a job. I'll keep you in my prayers as well. Thanks for the coffee date!! :) You are a true inspiration and a lovely soul. God is great and will provide. Waiting is the hardest part, but He will make everything worth while. Faith will overcome your fear to try for a baby again, you have every right to still feel empty after Addison. Your words are never repetitive, I could read the same post 100 times and get something new from it each time. Thank you for letting us into your heart. Thanks for coffee Casey! I loved this post so, so, much! You are a precious person. May the good Lord give you the desires of your sweet heart. my biggest fear is that i too won't be able to stay home with my kids. and they aren't planned for another few years. i am with your heart in this & praying you can rest in God. Keep goin' girlfriend! You are amazing! You have an awesome family as a support system. You are doing everything right. and I love your writing. It's so inspiring. I'd love to come back for another cup of Dr. Pepper. As always I love your freaking heart!!! I'm not a mom but this post made me cry. It seems like so many people don't share their full heart anymore, even with their best friends. It's always encouraging to see that real people still exist, who go deeper than surface level. Thank you. i don't know how to make coffee either. the past six months i've had some health issues and those thoughts of my children growing up without me have consumed my mind. i'm supposed to grow old with my husband. an appointment just today calmed some of my fears and while things still need to be addressed i have peace. god is good all the time. i hope you experience pregnancy again ~ without the fear. thank you for blessing me today. I just recently started following your blog- i must say how inspired i am by your tender, tender heart. You are more confident in your vulnerability than most people could ever come close to. You should have more Dr.Pepper dates. I would love to sit on your floor, get to know you and the kids, while sharing a Dr.pepper. Then our husbands could go get coffee and talk theology, and bounce creative ideas on how to help better the lives of those around us. This is one of the most honest posts I've read in a long time and that is so hard to come by these days. I'm so happy I found your little blog. WHENEVER you have time. I'll be there for Dr. Peppers and talks. I'm here. Just FULL of listening ears and a loving heart. AND time. You have such a tender heart, Casey~ Have a beautiful day. All will be find, and just as HE planned it. Thank you Casey, thank you for allowing me to share with you in a moment of honesty. I love having coffee with you (you a Dr. Pepper, me a cup of folgers with French vanilla creamer). It is in these moments when I realize that we are all so similar, more similar than different. It makes me smile to know that you are in California feeling the same love for your children that I feel for my Lynnlee. We are mothers, we are women, we are sisters. Thank you. thanks for joining in for coffee this week. i love how open and honest you are--do what makes you happy in this little space and try not to take other's comments too seriously...continue to follow your heart. have a great day!